Scholarly scruples about Bach’s recycling of material from earlier works, even secular cantatas, can never diminish the stature of his late, great Mass in a performance as uplifting and invigorating as this. Layton makes no claims to “authenticity” with his mixed young-adult choir - sounding wonderfully fresh and athletic - and mature soloists. In any case, the composer probably never heard his choral masterpiece performed complete; indeed, he may not even have intended it for performance, but rather as a compendium of what he could achieve in liturgical music. Layton’s Bach is rightly prized for its clear-headed vision and lack of eccentricity. He has a fine team of soloists: Katherine Watson and Helen Charlston’s bright voices blend ideally in the Christe eleison, and Gwilym Bowen and Neal Davies are both stalwarts in their solos. But it is Iestyn Davies’s singing of Qui sedes that takes this release into the realms of greatness. The OAE, with trumpets and drums in full cry in the Gloria, Osanna and Dona nobis pacem, make a splendid sound. Highly recommended". Stephen Layton's new recording of Bach's B minor Mass is now available for purchase on iTunes and from Hyperion's website. Read more reviews of the recording here. 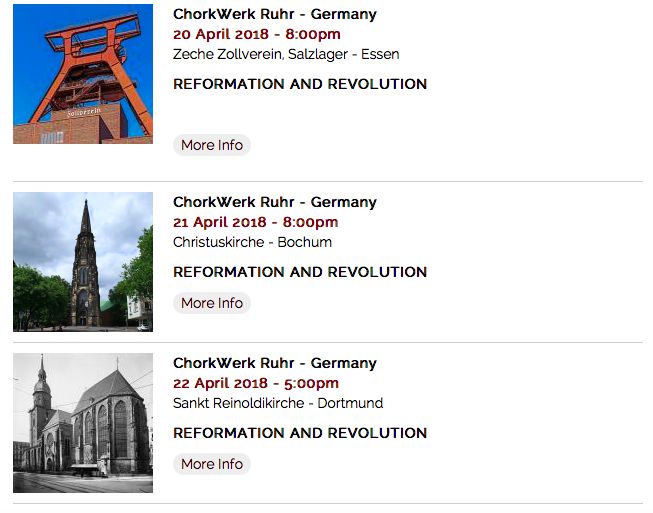 This Spring sees further peformances across Europe of Stephen Layton's Reformation and Revolution programme. Great English polyphonic works by Thomas Tallis and William Byrd are set alongside contemporary works from the Baltic States. A common turbulent political backdrop is highlighted as renaissance polyphony and contemporary liturgical settings are seemlessly woven together in this innovative programme. Interspersed through the sequence are movements from Missa Rigensis, a mass written in 2002 by the Latvian composer Uģis Prauliņš and recorded by Stephen Layton with The Choir of Trinity College Cambridge in 2008. Layton is a great champion of music from the Baltic States and has premiered and recorded many works by Arvo Pärt, Veljo Tormis, Eriks Esenvalds, Vytautas Miškinis and Paweł Łukaszewski. Performances of Reformation and Revolution in Hamburg and Leipzig in 2017 met with great critical acclaim. 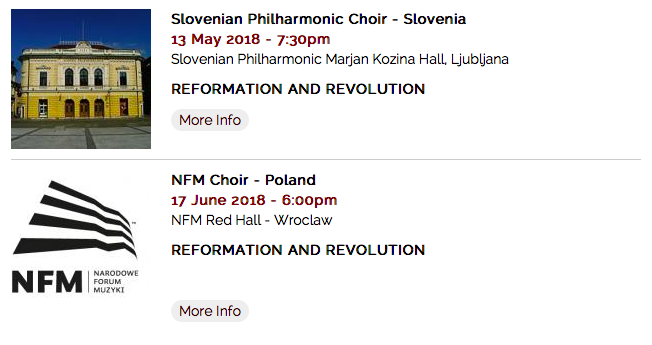 Spring 2018 sees Stephen Layton take the programme further across Europe with performances in Germany in April (ChorWerk Ruhr), Slovenia in May (Slovenian Philharmonic Choir) and Poland in June (NFM Choir). This holy week, Stephen Layton and Polyphony join forces with the Britten Sinfonia for their annual perfomance of Bach's St John Passion. Set in the shadow of Westminster at the iconic St John's Smith Square, this is a collaboration not to be missed. Tickets available now from St. John's Smith Square. Stephen Layton's new recording of Bach's B minor Mass is now available for pre-order on iTunes and from Hyperion's website until its official release date of Friday 2nd March 2018. Following great praise for his accounts of Bach's St John Passion and Christmas Oratorio, Stephen Layton now turns to the B minor Mass. Recorded in Trinity College Chapel, the much-anticipated double disc album features the Orchestra of the Age of Enlightenment, The Choir of Trinity College Cambridge and a stellar line up of soloists. Pre-order your copy now to avoid disappointment.